I have been watching in amazement as my Clivia ‘Good Hope’ flowers for the first time ever. 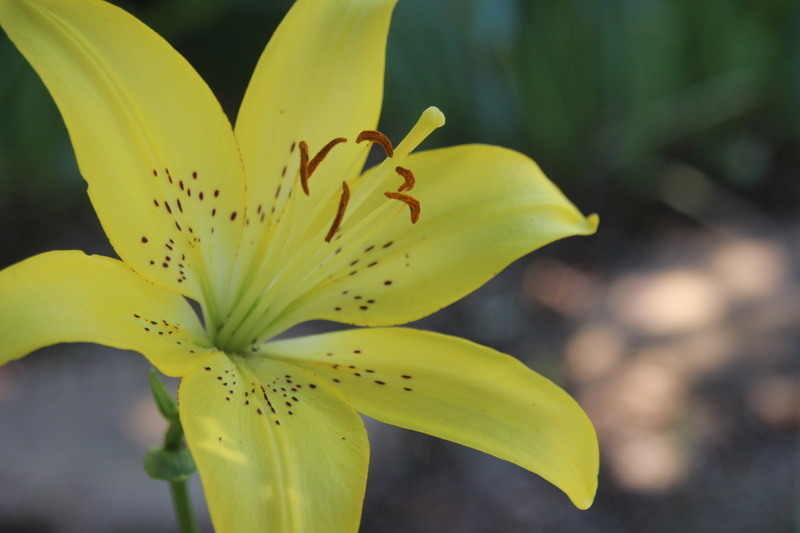 Its butter-yellow finger-like buds finally opened into big happy blooms this week. I did not realize that it would get this large. Even its roots, which slither along the surface, are big. Some of my plants are too precious to leave their survival to chance. 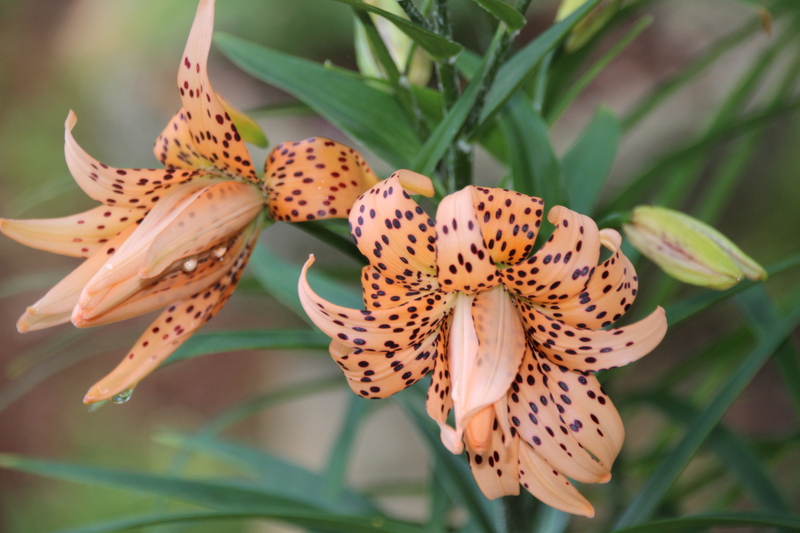 I put my new Tiger lilies at the top of my precious list. I know they are supposed to survive in zones 4 through 9. Some winters are extremely cold, others are soggy wet. Our soil is red clay so things rot. 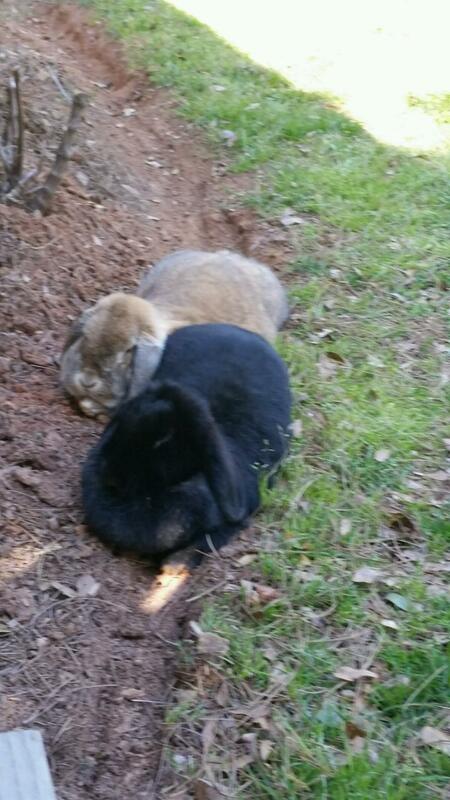 I have to put pebbles under plants to ensure drainage. 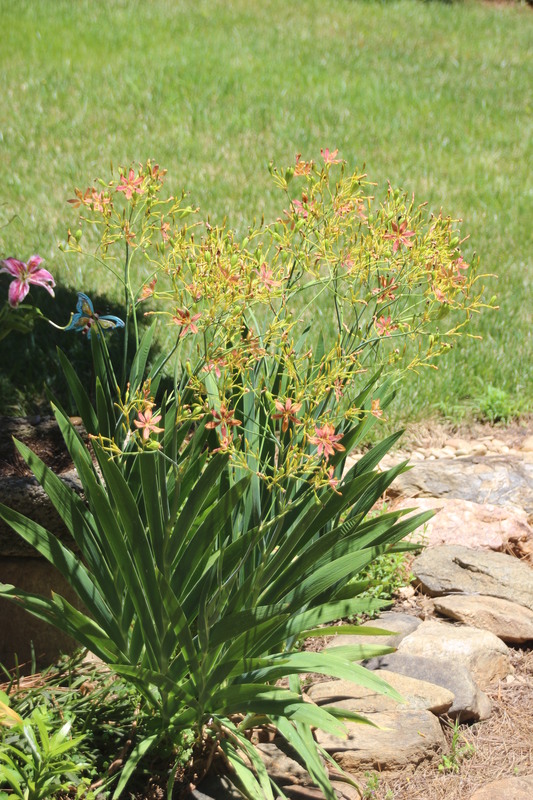 Why would I risk the only lily the mama deer did not eat? 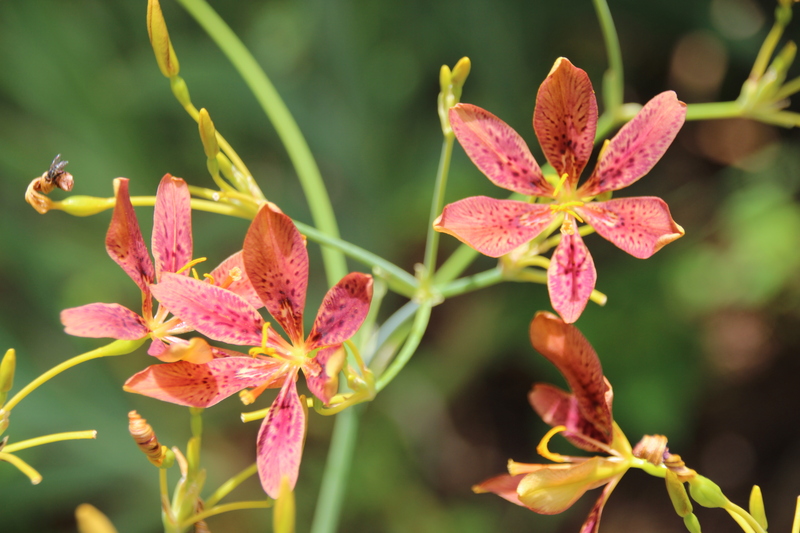 These Tigers are the only lilies that came through the “deer delicatessen ” month uneaten. 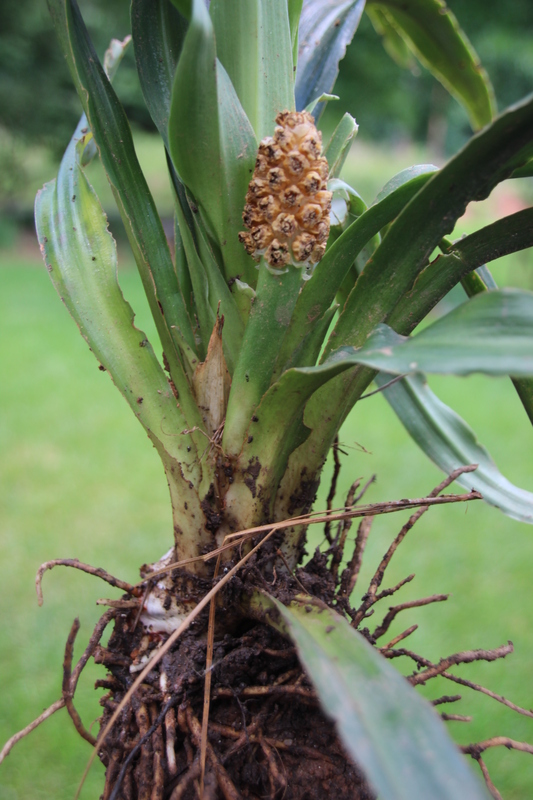 So both the bulbs and the bulbils are coming in. 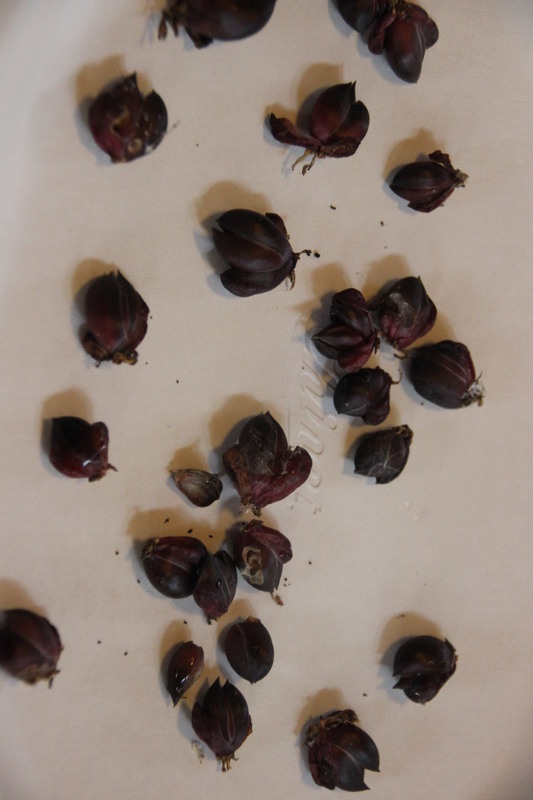 I removed the purple bulbils from the stems. 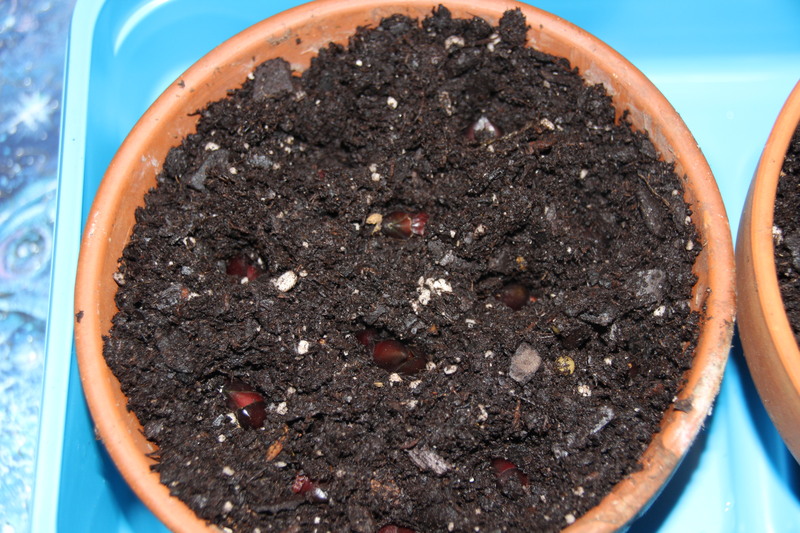 I immediately popped these into some cactus soil in shallow pots and watered them. Label these babies in the pots. 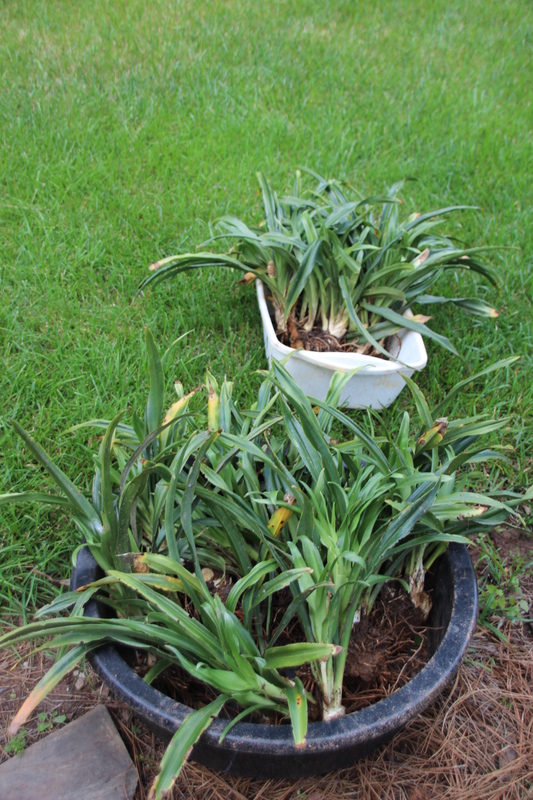 Then I removed the yellowed plants from their giant pot. I shook the damp soil off the roots. I let these dry a few days and then knock off the remaining soil. I store them in a cardboard box full of damp vermiculite separated be used packing paper. Separation prevents the spread of diseases. The big, heavy, empty pot will have to stay outside. Always keep the label with the bulbs. you are either young or very optimistic. I always have WTF (What’s This Flower) moments in spring. Now these Tigers , big and small, will be safe through the winter in my workshop with my hundreds of other precious plants. The FLOWER knows she is forgetful and plans accordingly. Most of the Asiatics have long finished their show. 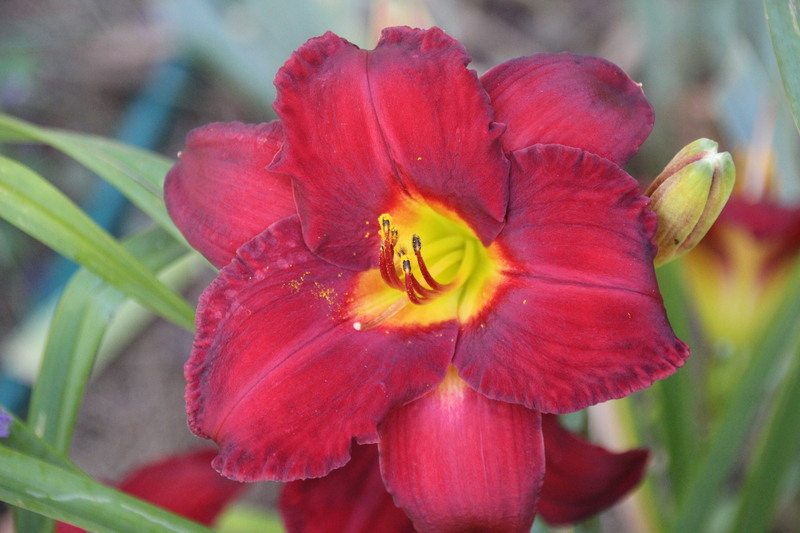 The daylilies are slowing down. 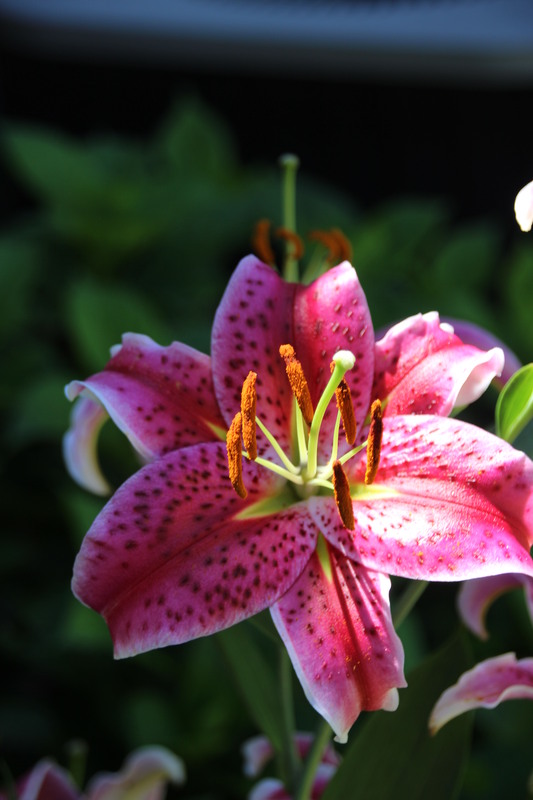 The Stargazers are turning brown. But it is not over yet! 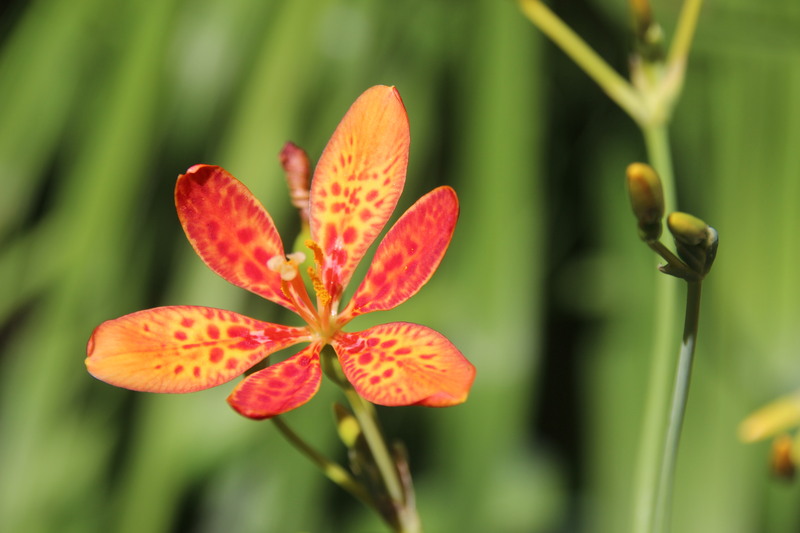 The blackberry lilies are going strong. I started out with a spotted orange type. 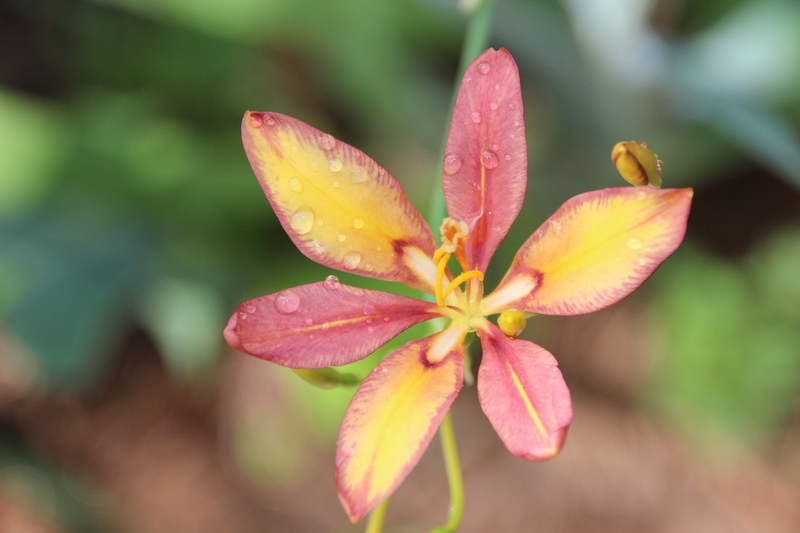 and a yellow non-spotted candy lily. 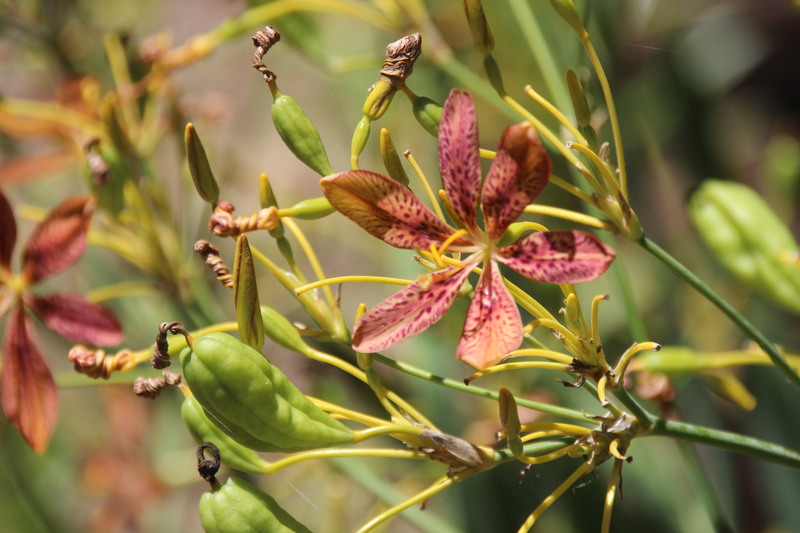 Other names are blackberry lilies, or leopard flowers. 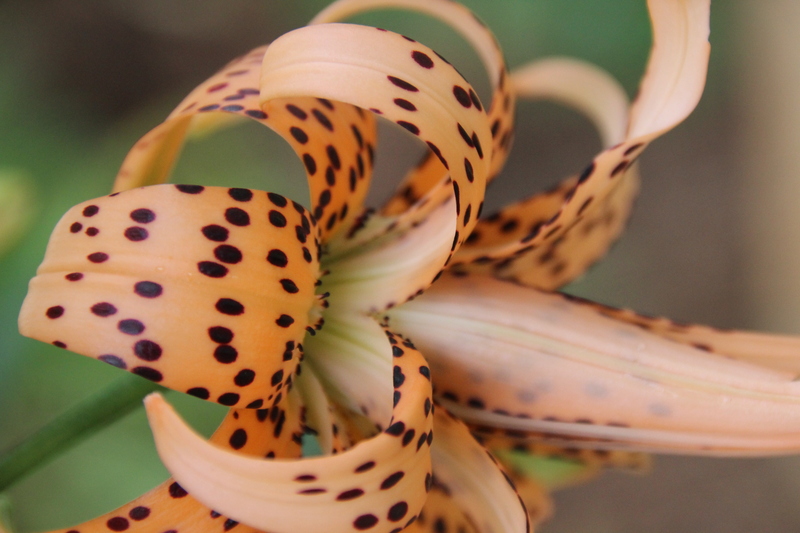 The name leopard refers to the spots on the petals. The name blackberry refers to the seed pods which open to expose clusters of black seeds that resemble blackberries. 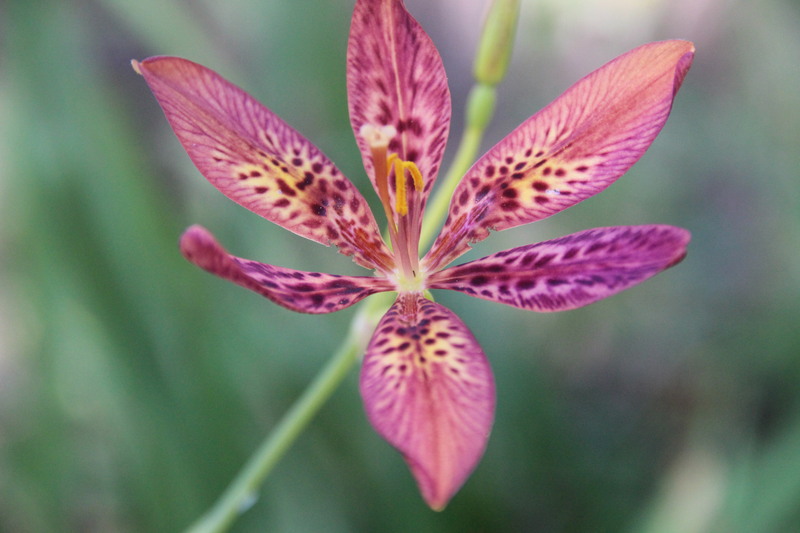 One of the fascinating things about these is they cross pollinate to produce hybrids. I love surprises! 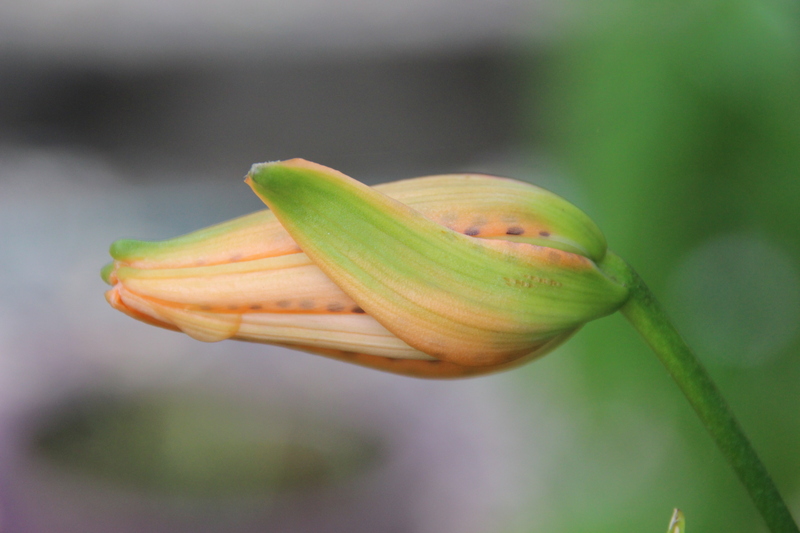 I never know what will show up until the flowers open. I appreciate any flower that keeps going in this heat. 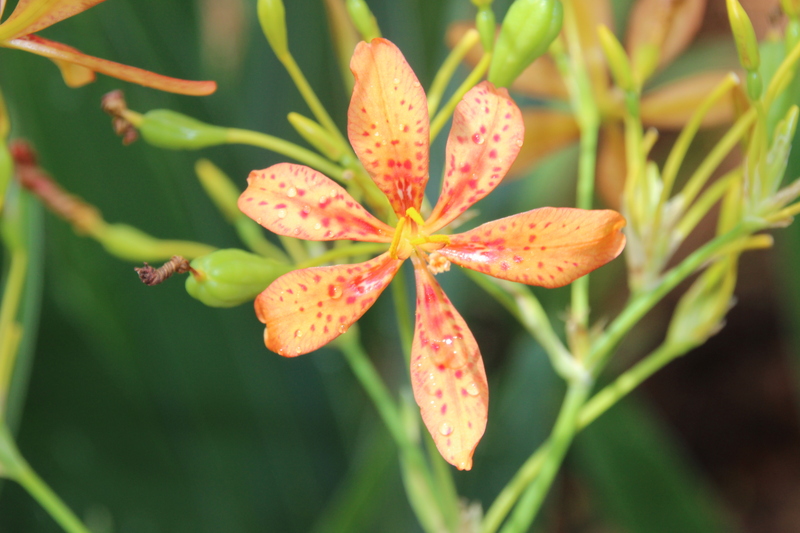 While the FLOWER wilts, the blackberry lilies bloom. 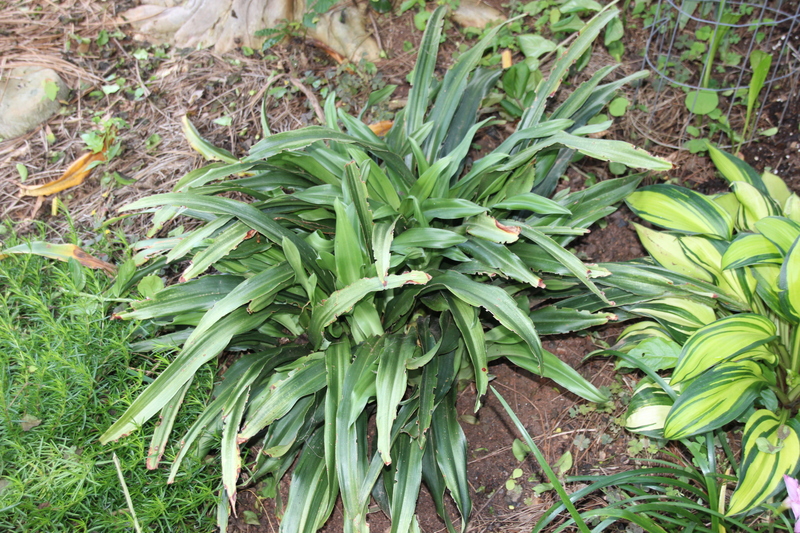 What do you do with an Ugly Plant? Usually, I have no problem purging a low performer from the garden. This one however, has “Sacred” in its name and is supposed to be lucky. Is it therefore bad luck or sacrilege to kill it? 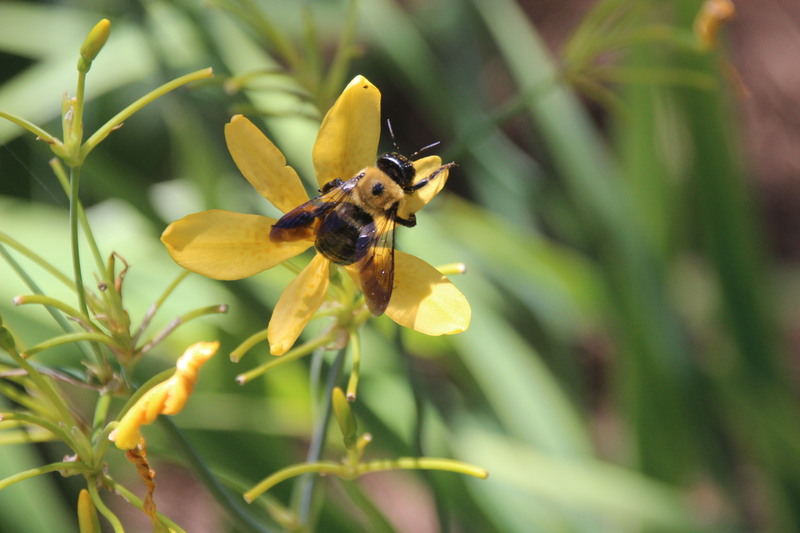 It is said to be pollinated by slugs. Just what I want in my gardens! The blooms look like little pineapples until they turn brown. Then they look like a tiny corncobs. Mine have never produced the bright red berries. Maybe I don’t have the right slugs? It is evergreen, but it smells like formaldehyde. So now, I have divided two giant clumps again. Now I have more of this ugly plant. 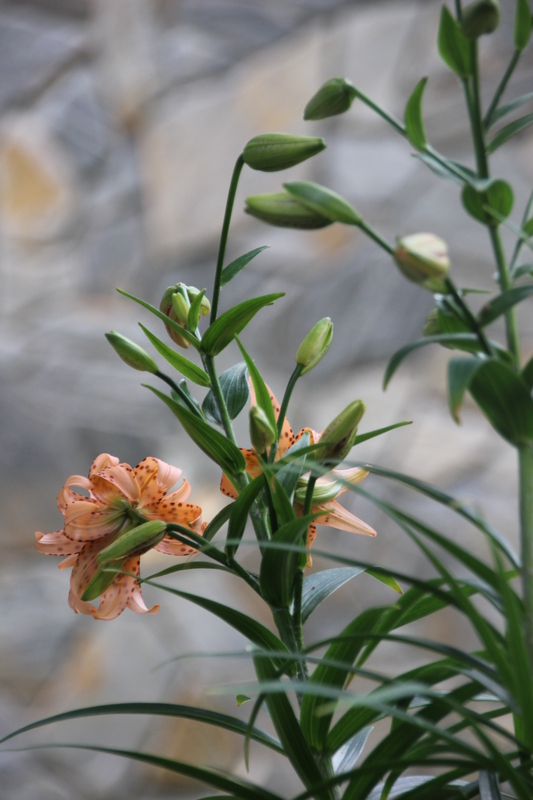 I bought the Rohdea japonica /Japanese Scared lily from a friend. I am not sure why. It has never been attractive. It is deer resistant, so there is no chance that my four-legged friends will help me get rid of it.